In an US$850 million transaction, Gemalto will acquire 3M’s identity management business. There are three key components included in 3M’s portfolio that will become part of Gemalto’s Government Programs business: the biometric offerings that came to 3M following the Cogent acquisition, a document reader line and 3M’s internal secure identity materials business. Together the three areas generate $215 million annually. Of key significance, the acquisition provides internal biometric capability and products to the Gemalto portfolio. 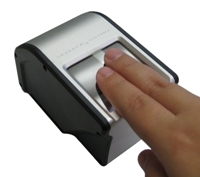 AFIS solutions, a line of biometric readers and scanners as well as biometric software solutions will provide new options for Gemalto customers worldwide. Approximately 450 employees make up the 3M business that will transition to Gemalto after the close of the transaction in the first half of 2017. 3M acquired Cogent back in 2010 for $943 million. At the time Cogent had annual revenues of $130 million and 500 employees.